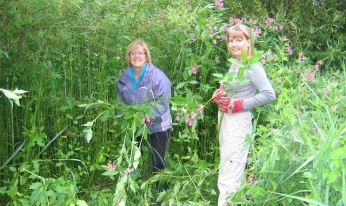 Join Riversmeet in helping remove this invasive weed from the river banks before it seeds. It’s really easy. You need gloves, long sleeves and long trousers or waterproofs, glasses, insect repellent and sunscreen! New Dates for Balsam Bash & Litter Pick summer 2012! Get your calendars out! Some new dates have been decided to pull Himalayan Balsam out of our river beds and rubbish out of our streets.